Top Ten Lessons Learned During Marathon Training. 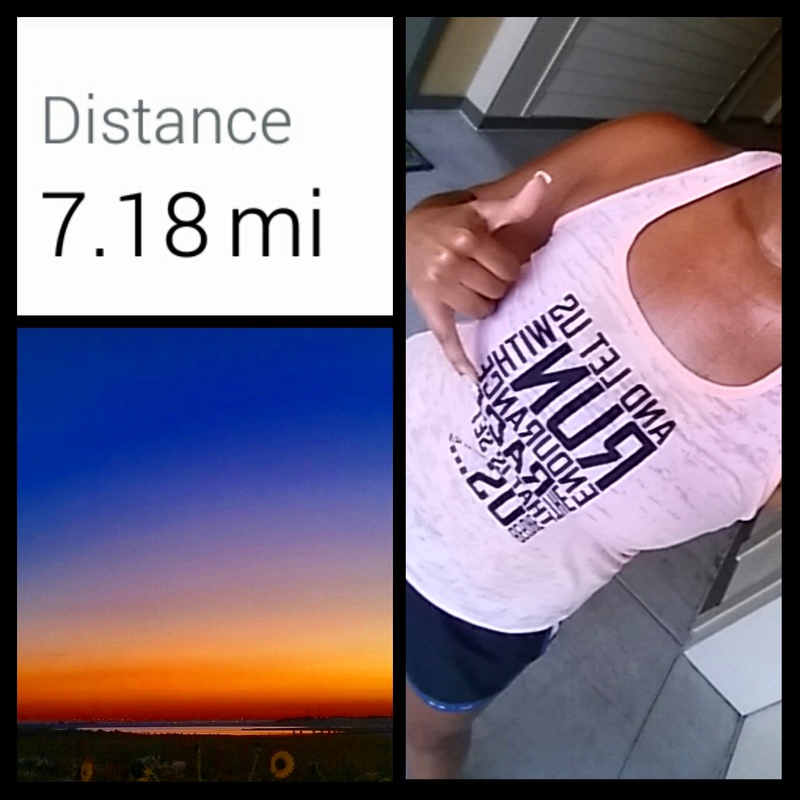 7 miles this morning rocking some speedy miles! Oh yeah, felt good to see 7 and 8 minute miles on that watch. Pushing through the humidity ain’t no joke. Yep, I sound like a broken record by now but I will be happy when fall hits and things get cooler. Makes me miss living on the east coast around this time. Anyway…here are a few lessons I’ve learned over the years of racking up that 26.2 bling! 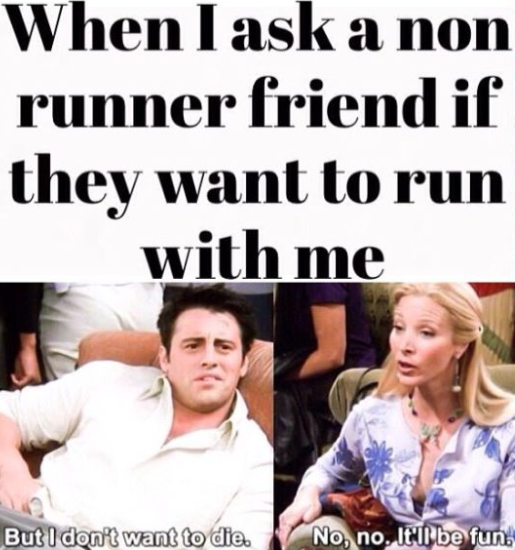 Runner lessons & struggles if you will. You live and you learn and you keep running! 1. Sleep and rest make a huge difference in your regimen. Recharging those batteries is hard to do but gosh…it’s oh so important. I’ve been going to bed a lot earlier lately and skipping out on those happy hours and waking up refreshed and ready to run is an amazing feeling. 2. Water water water! I don’t drink enough. But I am getting better. I keep a huge jug at my desk and guzzle away. Yeah I’m in the restroom every 3 seconds but I can tell a huge difference in the way my skin looks and just have more energy overall. 3. 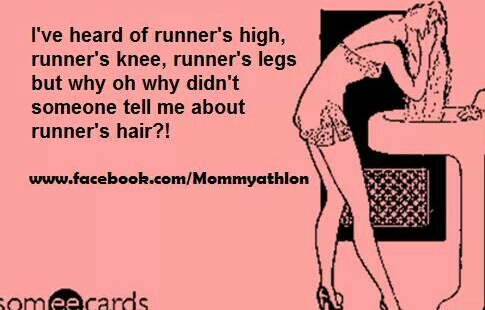 Runner’s hair. Haha…ya’ll, it is very real. That’s why we have hairstylists, right? During the work week my hair stays up cuz…ain’t nobody got time for that. 4. 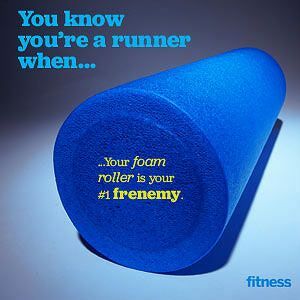 I have fallen in a love/hate relationship with my foam roller. It’s a special relationship…I think it is getting serious. 5. 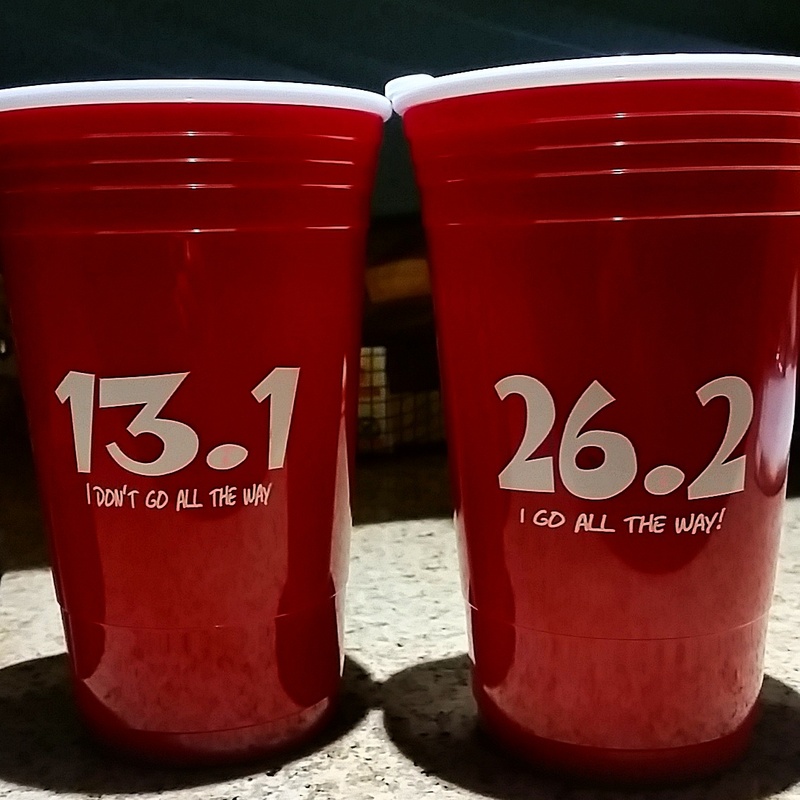 All of the runner paraphernalia may be cheesy but you have to admit…it’s fun. And motivating. Mantras if you will. AND YES….I go all the way, bae. 6. Non runners won’t understand your excitement over pounding the pavement sometimes…and that is okay. Maybe one day they will jump on the fun train. 7. Pickles are an awesome superfood of sorts. So is pickle juice. 8. Coffee has never tasted better, ever in life. 9. Strength training is an awesome compliment to running and will make you more powerful hands down. Do it. 10. Yoga is fantastic too…even though I’m not the best at it. Haha, one day. What are some things you have learned during marathon training? Hahaha omg my hair – especially in the summer. It is HORRIBLE! Tell the truth girl! Frizz city! I definitely have underestimated pickle juice in the past…it works wonders!! Enjoy getting your hair all glammed up! Hahaha. Runner’s hair is a thing? Now I know I’m not the only one. I work in a factory, so my hair is already always up. But it’s just never ever in good shape anymore. The runner’s hair!! As you said thank goodness for stylists….and coffee. You know it, girl! I need to embrace my curls more like yours, they are beautiful!!! What kind of strength training do you do? Im currently working on a post about this. I lift very heavy & a lot of runners think you can’t. Don’t want to bulk up & be to heavy to run. That is the main thing I hear about why they don’t train with weights. I don’t do olympic heavy weightlifting nor am I a Crossfitter but I lift about 2-3 x a week along with yoga and I think strength training is an important part of any marathon training program. As well as yoga and stretching after every run to prevent injuries. I also teach group fitness so I not only lift but I teach strength classes as well. Good luck with your post! I ‘did’ my hair once this week at work and got a bunch of comments about how different it looked. I didn’t realize I had fallen back into the ponytail/knot routine again but it’s hard when it running just makes mine a huge rats nest, so fun. During marathon training pickles and super salty tortilla chips became my midnight snack if I hadn’t calmed the runger well enough. Nice job on running through the humidity!